You need rhythm for your solo performances. 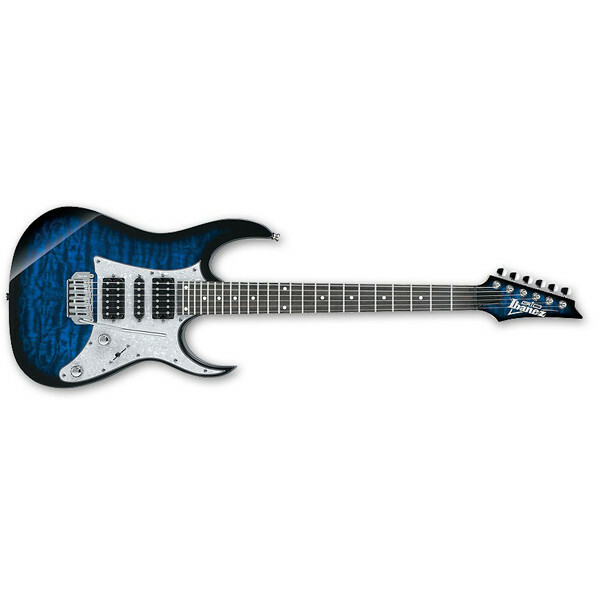 You have a rhythm machine, but you want your performance to feel more “alive.”. 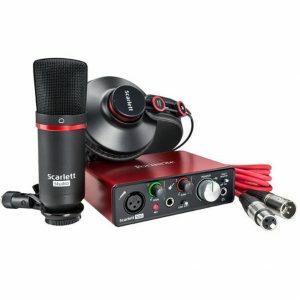 The STAGEMAN 80 is a multi-function portable PA amp that will meet those needs. 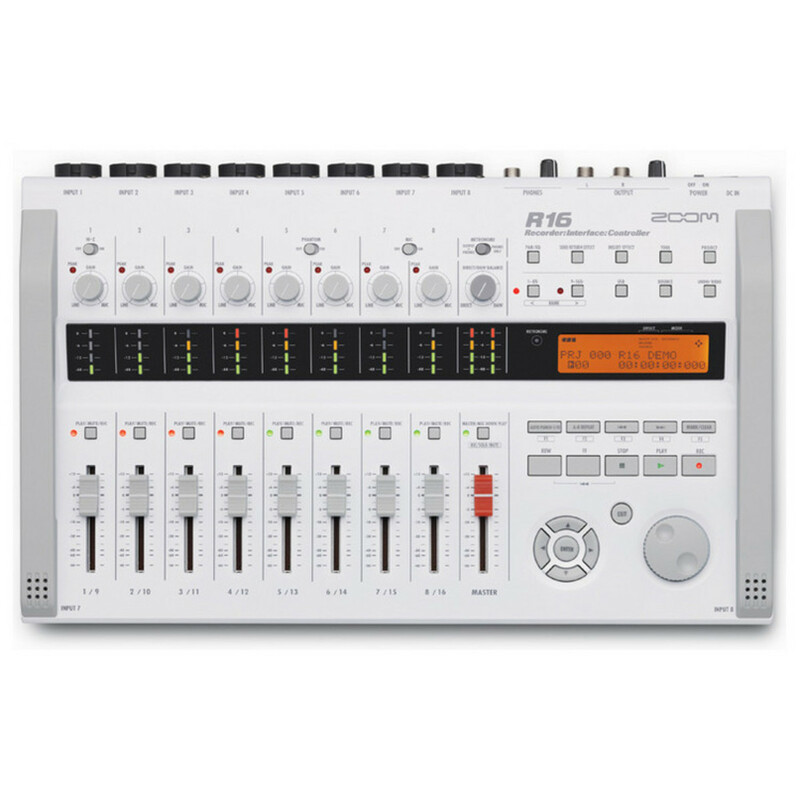 This unit contains a large number of high-quality rhythm patterns that can even respond to tempo change in realistic ways, due to KORG’s new “Real Groove Technology.” The STAGEMAN 80 can act as your personal drummer to support your live performances or practice sessions; you can even create a rhythm structure that’s appropriate for your own song, while using a foot switch to control it in real time. 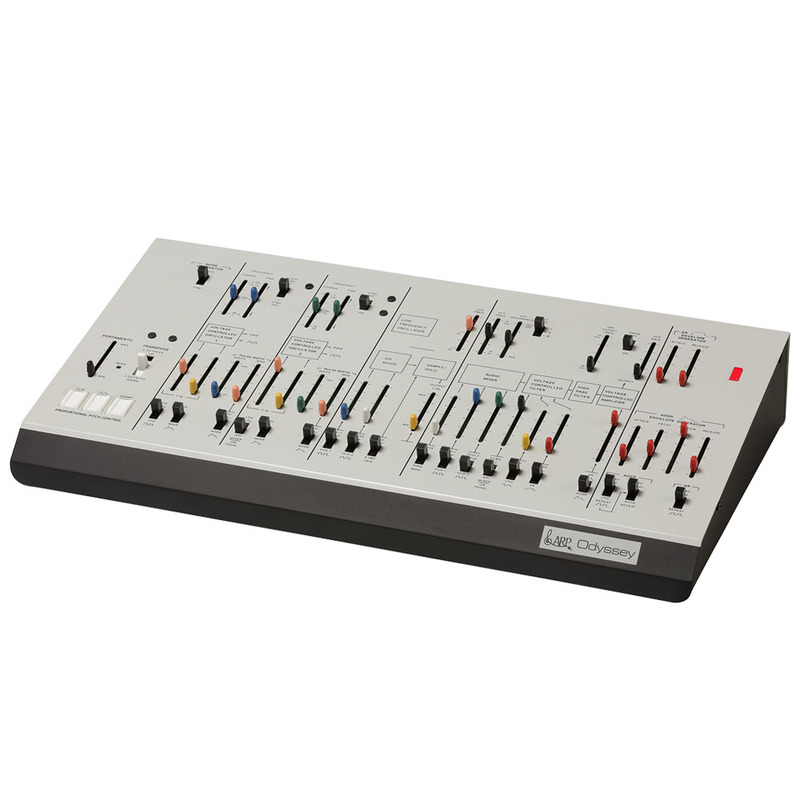 The ARP ODYSSEY Module is a keyboard-less ARP ODYSSEY with the very same analog synthesis circuitry that completely reproduces the original. 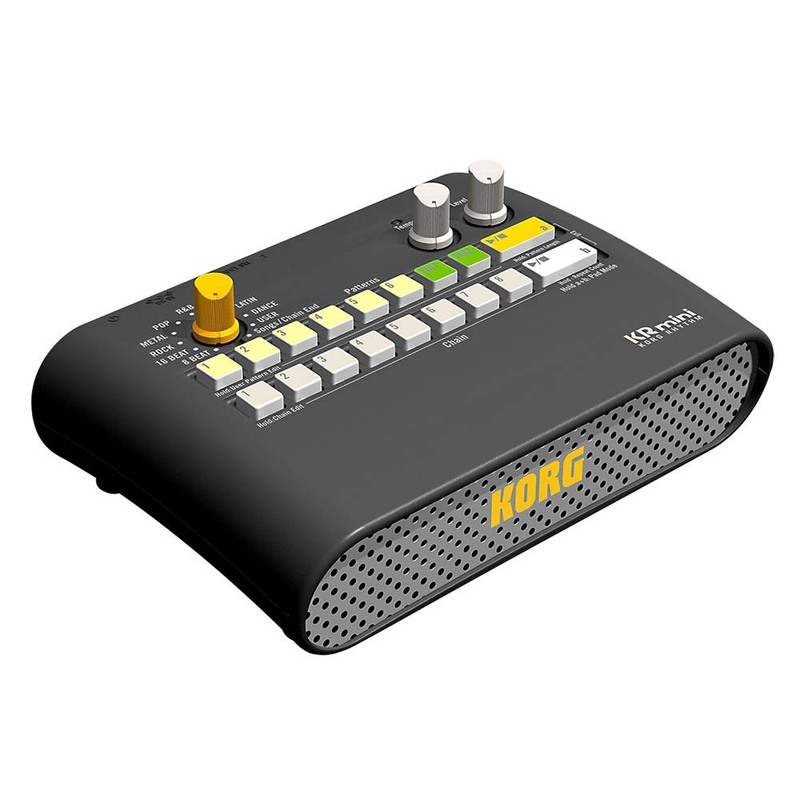 To fit perfectly in today’s DAW-centric music production environments, KORG provide it in a more compact module form. 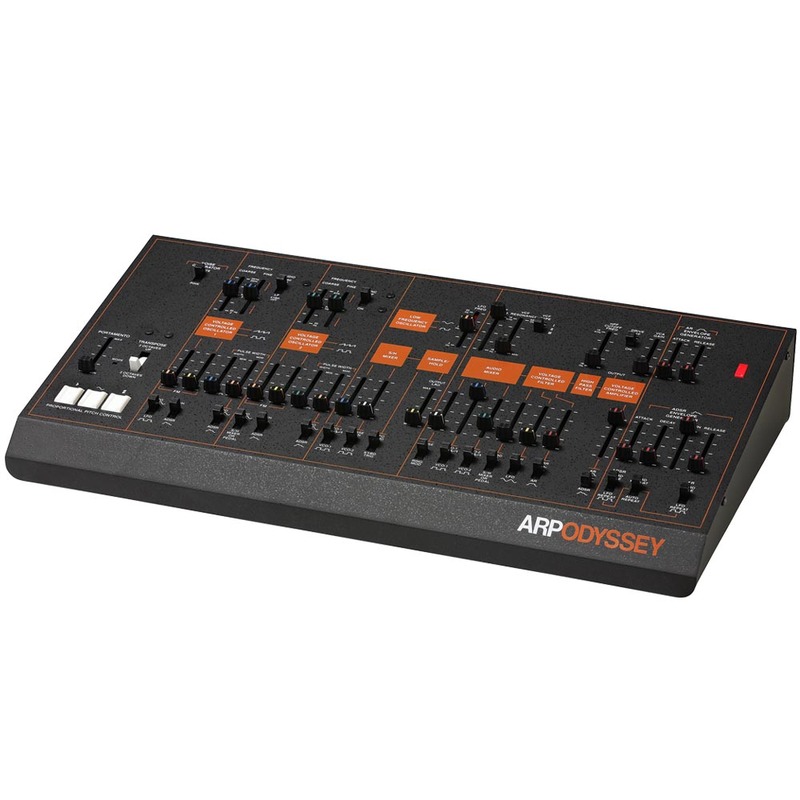 The ARP ODYSSEY Module is a tabletop analog synth module based on KORG’s revived ARP ODYSSEY. In its compact, keyboard-less body, it contains the exact same circuitry as the original, making it even easier for you to obtain that rich analog sound that only a genuine ARP ODYSSEY can produce. 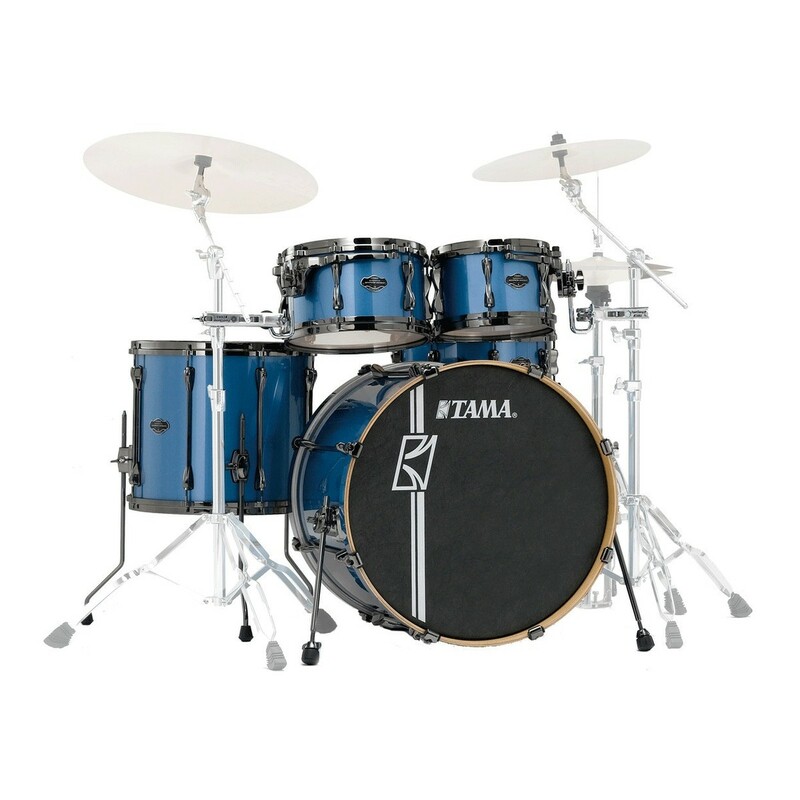 The CLIPHIT is a new electric drum kit that’s ideal for drum practice at home or for casual playing. Attach the clips with their internal sensor to a magazine, desk, or almost any surface, transforming it into a snare, hi-hat, or cymbal. 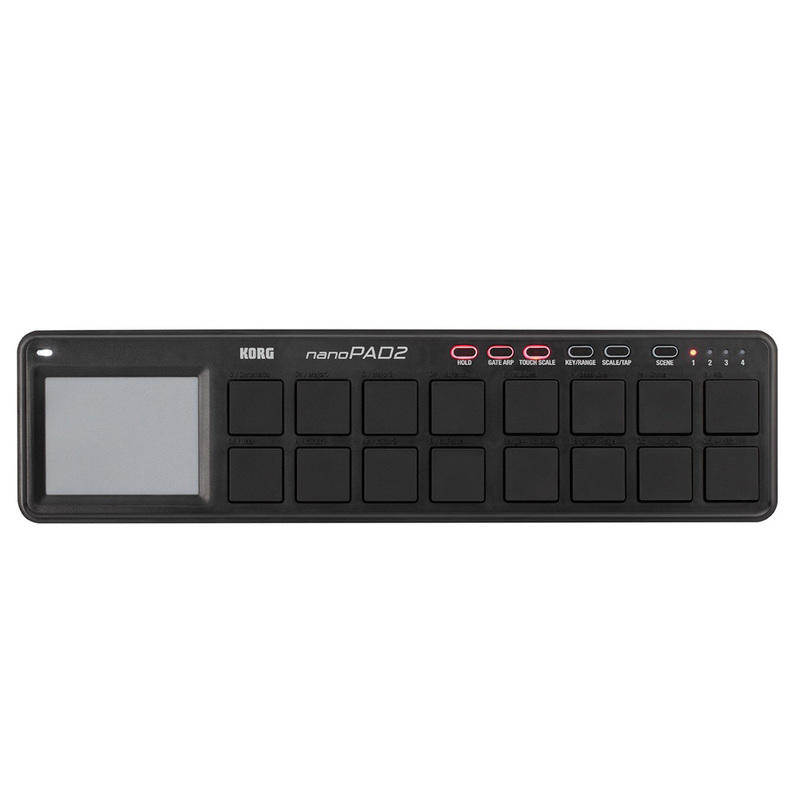 You can also attach these clips to practice pads, using them to play drums or any of the programmed EFX sounds that include dog sounds, cat sounds, hand clapping. 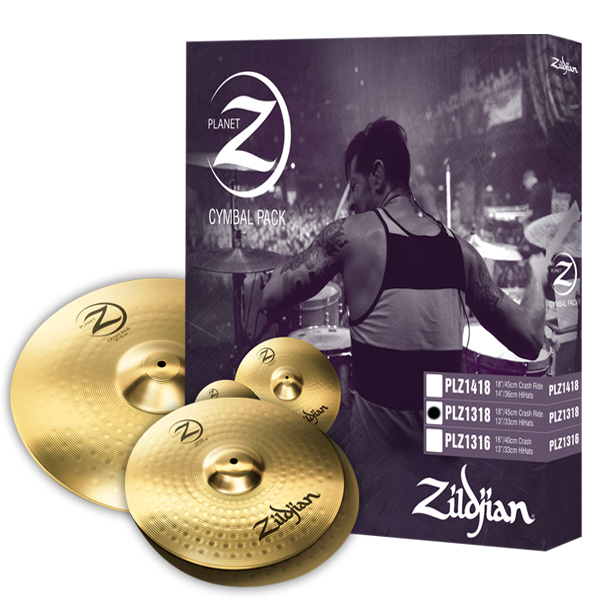 CLIPHIT will breathe new life into your drum practice, and is a great way to enhance your experience and creativity. 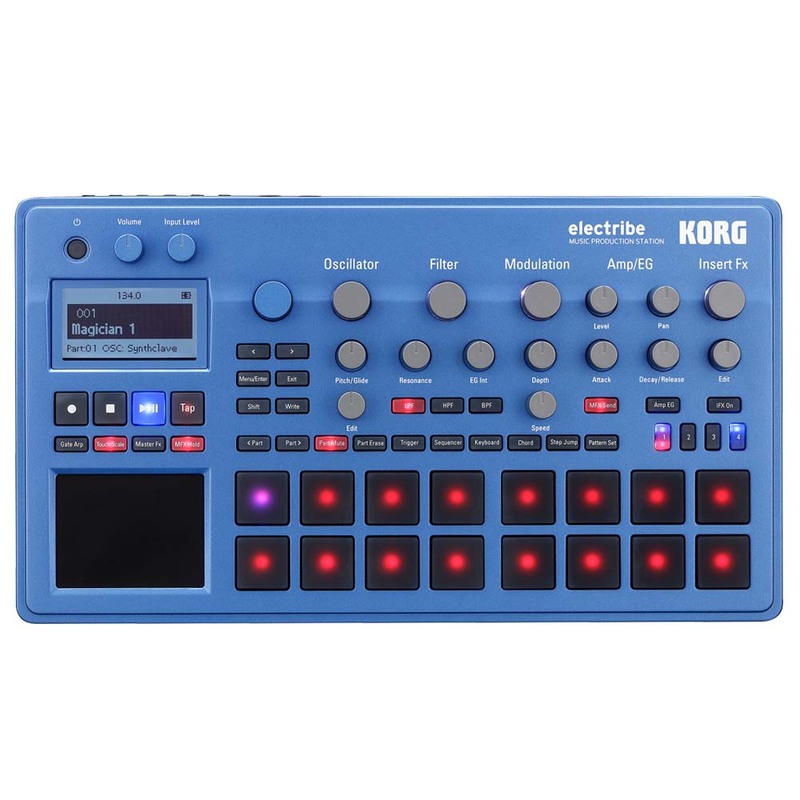 The electribe is a synthesizer-based production machine that turns inspiration into sound at maximum speed. It contains numerous analog oscillators and a wide variety of filters. Whether you’re selecting sounds or editing them, all operations are performed simply by using the top panel knobs. 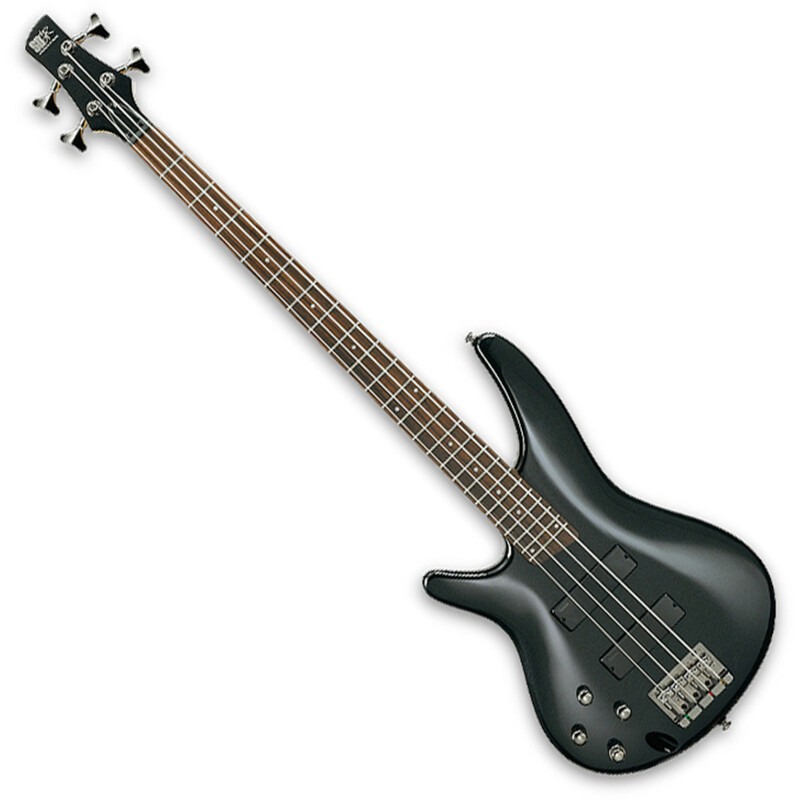 In addition, a variety of input interfaces optimized for inputting rhythm, bass, or melody allow you to smoothly create sequences as fast as you can think. 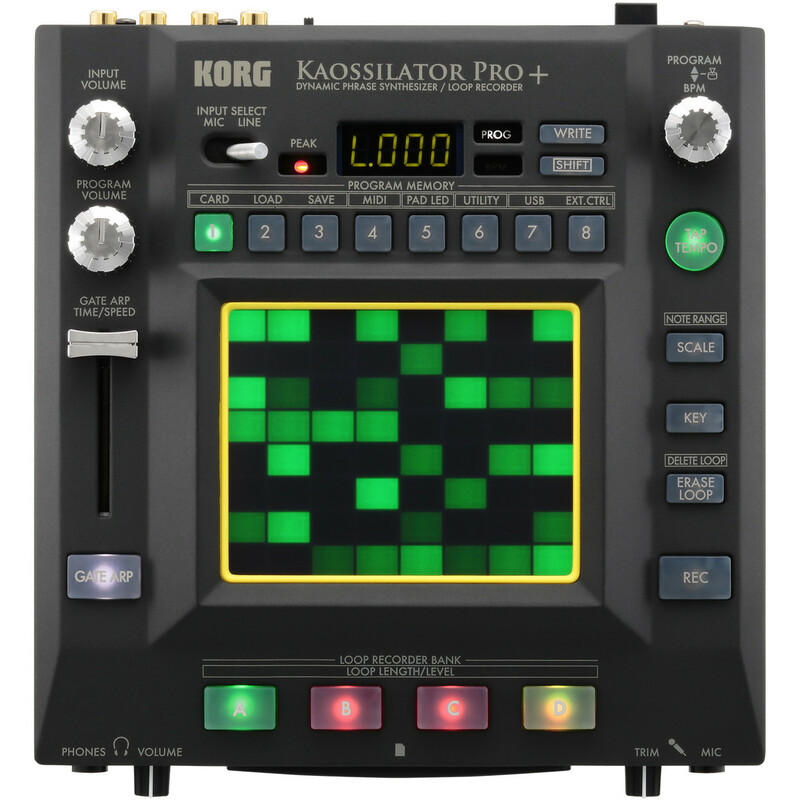 The KAOSSILATOR PRO+ is packed with the cutting-edge synth sounds that you have come to expect from Korg. 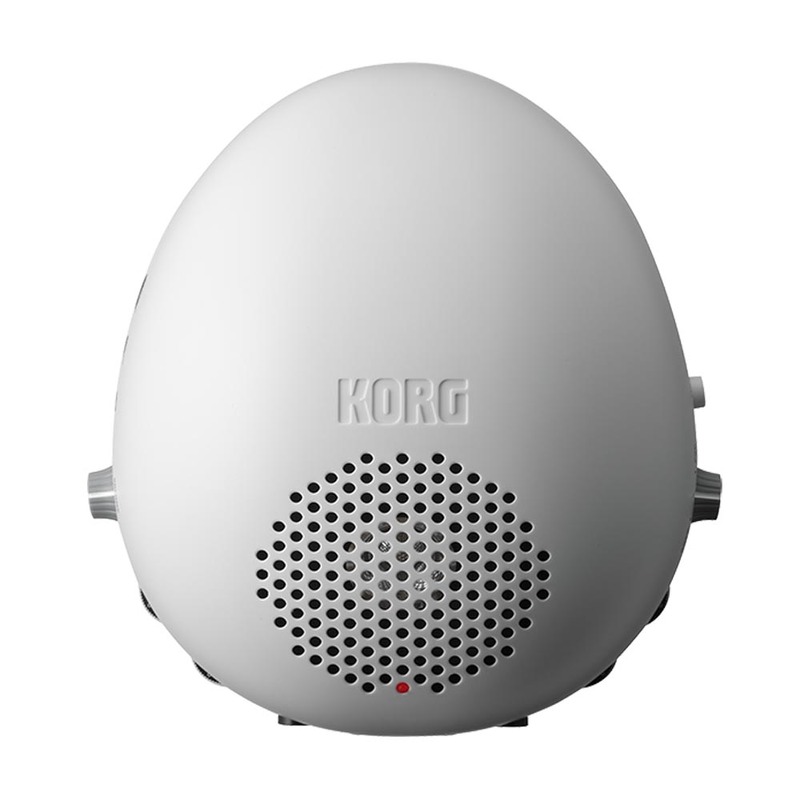 There are 50 additional programs in the KAOSSILATOR PRO+, bringing the total program count to 250! 62 of these sounds are drawn directly from current musical genres, including familiar and extremely useful leads, and synth basses, along with sound effects for DJ use. 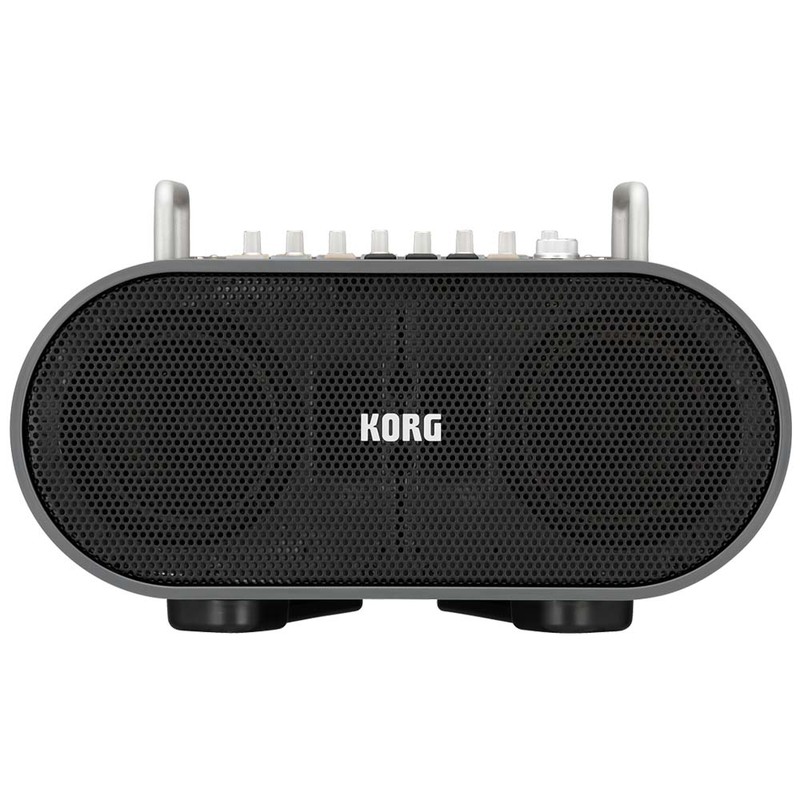 The KR mini – an easy, simple and compact rhythm machine with a built-in speaker and optional batter power for play-anywhere convenience! 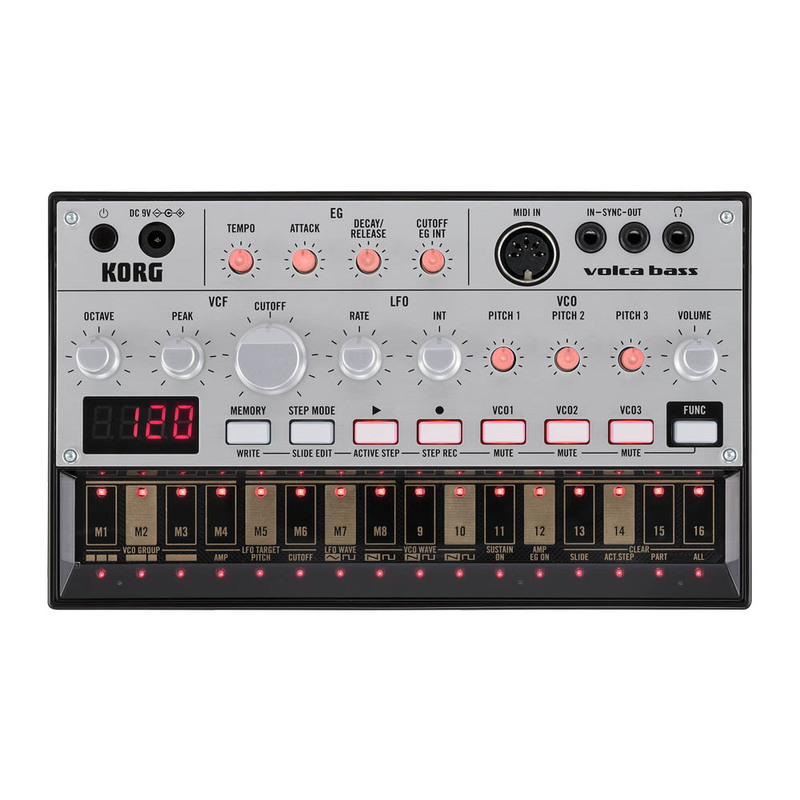 Aggressive sounds that stand up to the drums; fat sounds that support the rhythm; funky sounds that generate a groove – The KORG Volca Bass is an analog bassline groove box that has what you need for a wide range of bass lines. 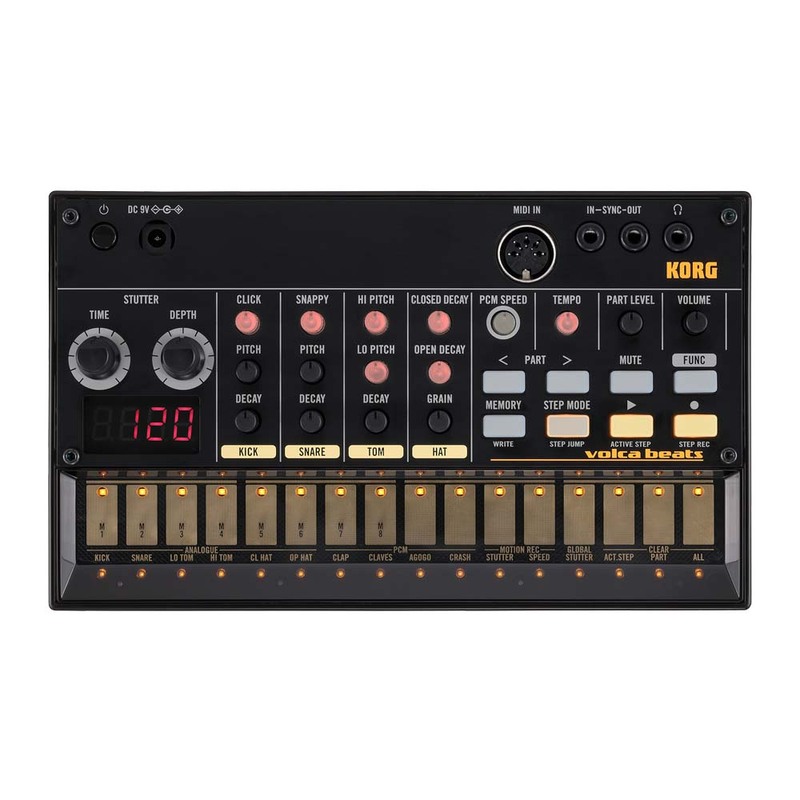 Although simple in structure, the analog sound engine has an unmistakable presence with subtle nuances that cannot be reproduced by a digital simulation; it’s a great choice for acid house and many other styles of music. 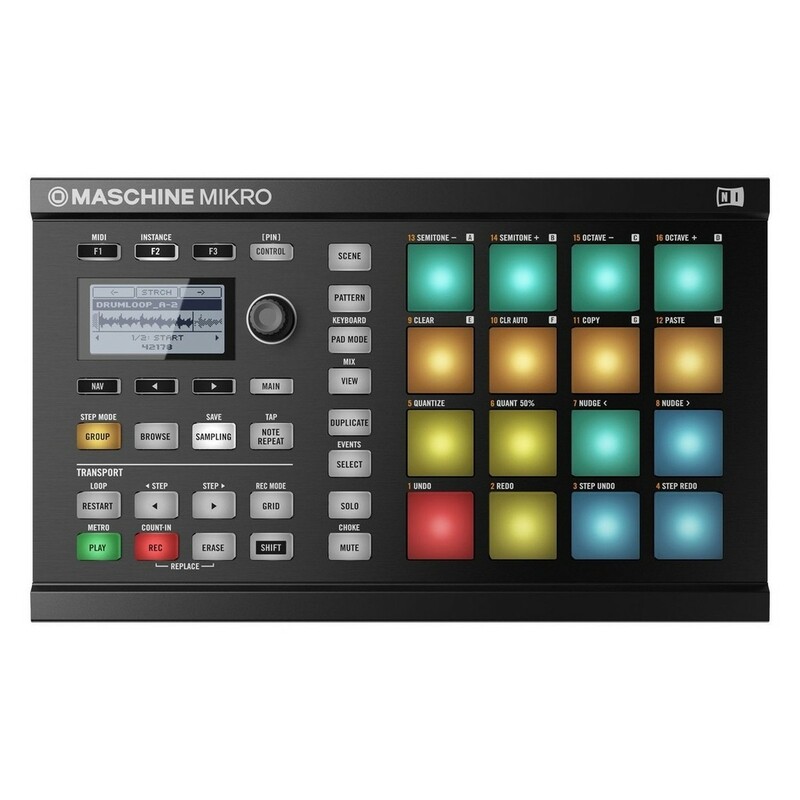 The Native Instruments Maschine Mikro MK2 is a compact beat-making controller featuring 16 velocity-sensitive multi-coloured pads complete with MASCHINE 2 software, instruments and new drum synths. 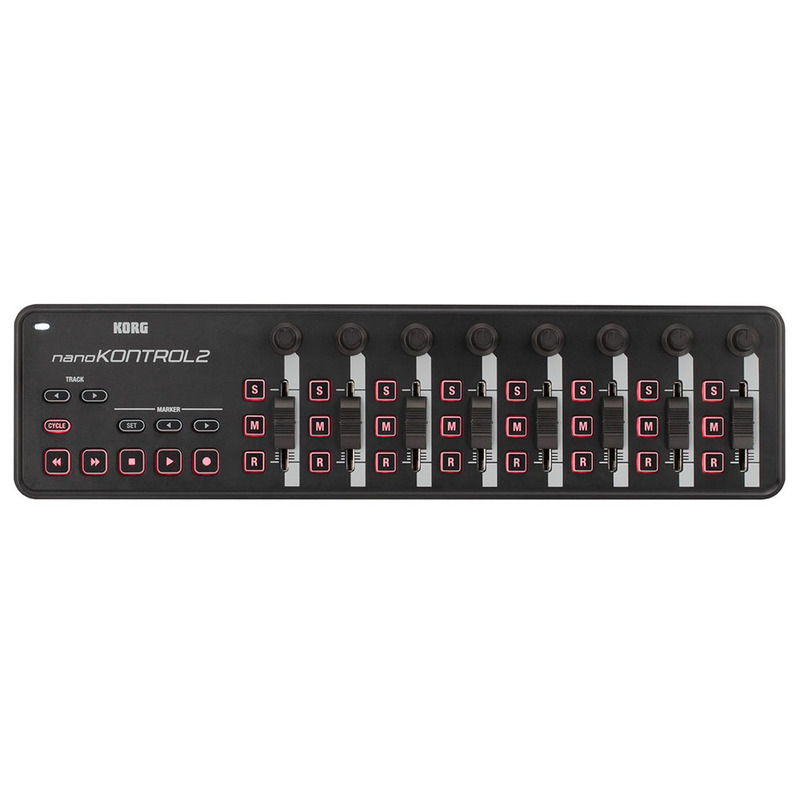 This highly versatile production controller is the ideal choice for any digital musician, allowing you to utilise your favourite VSTs and samples and play them fluently. 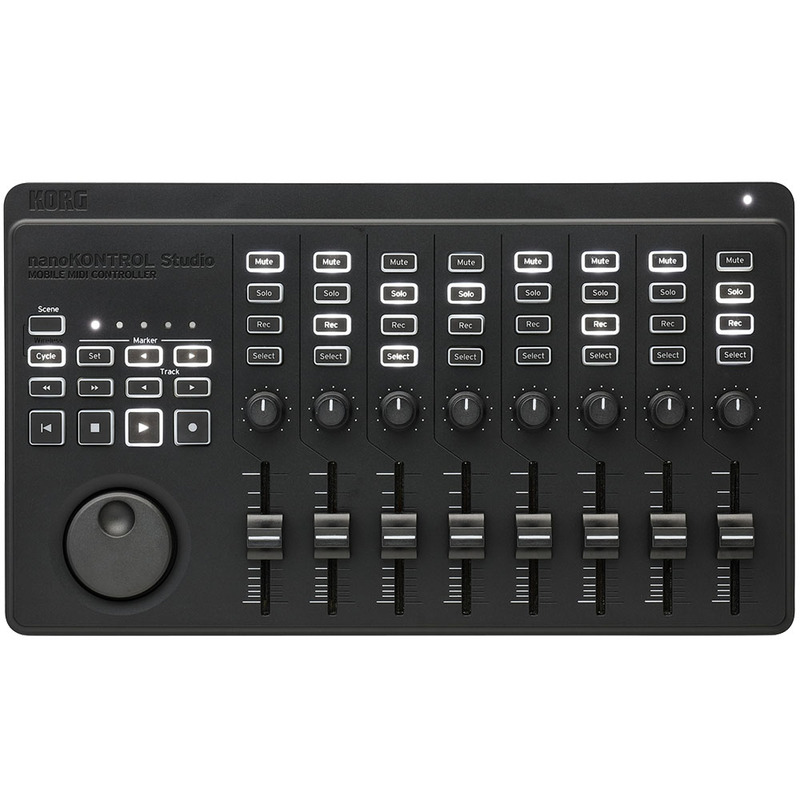 It features 28 illuminated buttons in total, ideal for low-light environments and its portable, versatile design makes it ideal for both studio and live performances alike.